A blog about Legal News, Laws, and Cases related to personal injury. By Brian Anderson, Kennewick lawyer. PIP insurance is included in an auto insurance policy, and covers medical expenses and other services for those involved in a collision, regardless of fault. The law requiring PIP insurance to be offered to everyone buying auto insurances also gives the insurer the ability to deny coverage for PIP benefits - but only if the claims are not “reasonable, necessary, or related” to the accident, or if claims are made over 3 years after the accident. 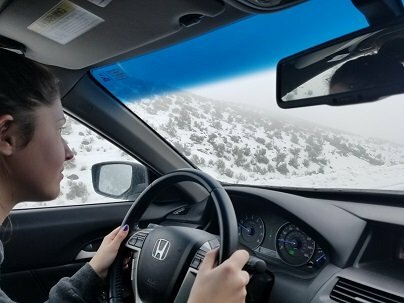 For the past century, driving has been a rite of passage marking teenagers’ independence and the fast approach of adulthood. Soon, this rite of passage will be a thing of the past. And most of the blame will be due to driverless cars. Acquiring a car will no longer be a considerable event signifying maturity, along with the many current milestones involving the freedom of driving, even if it’s just from Pasco to Richland or from home to the store. In 2015 alone, almost 3,000 teens were killed in accidents and more than 200,000 were injured. In 2013, treating teen injuries from driving accidents cost $10 billion. I don’t know how many people are like me, but I tend to notice crosses on the sides of the road, and I almost always wonder what happened. With the placement of some crosses like the one below, you sometimes get an idea of what likely happened, but then you might wonder about the contributing factors; was a driver drunk, was a driver sleepy, or was a driver distracted? Do you stop for school buses… when you should? You would do anything for your kids, right? (Or nieces, nephews, grandchildren, whatever the case may be.) Keep them safe, make sure they have a bright future, protect them...the list goes on. Yet this sentiment doesn’t seem to hold true on the road. Motorists have a bad (and sometimes fatal) habit of passing school buses while their stop signs are extended. And sometimes they are caught because they crash into cross traffic. Last Monday, a car ran a red light in Richland, hitting a Dial-a-Ride bus on the intersection of Thayer and Swift Boulevard. The bus, a transportation system for people with disabilities, flipped onto its side as a result of the impact of hitting a curb after being crashed into by the small Nissan Rogue. Luckily, no one was seriously injured; two people were treated for minor injuries. Picture yourself in this scenario: You are driving home from a day at work in the middle lane on a three lane highway. You are enjoying your cruise home when suddenly the car in front of you slams on its brakes. You are going too fast to stop in time to avoid a collision. A split-second decision must be made. You could choose to hit the car in front of you and hope that you can slow down enough to prevent serious injury. The car in front of you is a large truck so the driver in front will be fine. You could also swerve into one of the two other lanes. If you swerve into the left lane, you will collide with a motorcyclist. If you swerve to the right, you will hit a SUV with a family of five inside. There are many things to consider here. Do you prioritize the safety of yourself over others? The future of technology has been ingrained in Western culture and media for longer than most can remember. Movies, books and TV shows set in the near or distant future have enthralled many people for many years. One of the more common themes of our futuristic science fiction tales is automatization. From robots that perform all arrays of tasks, to AI that control the technological infrastructure of the world, seemingly distant technological advancements are ever present in peoples’ minds. But some of these seemingly purely theoretical applications of technology may not be so far from becoming a reality. The latin phrase “non bis in idem” is translated as “not twice in the same thing” and refers to the right of a defendant to be protected from prosecution for the same crime twice. The Fifth Amendment to the U.S. Constitution states: “No person shall be subject for the same offense to be twice put in jeopardy of life or limb.” This is not exclusively an American doctrine, and is found in a similar form in the federal law of nearly every other modern country. In fact, every member of the Council of Europe has signed a convention which regulates human rights. Article Four of Protocol Seven of the Convention says that no person can be charged again for a crime that they have already been acquitted or convicted of. Laws that guard against double jeopardy are extremely important in any modern legal system, because of the how corrupt and easily abusable repeat trials would be.